This entry was posted in Civil Rights, Climate Change & Environmental Issues, Demonstrations & Protests, Human Rights, Human Spirit, Living Examples, Religion, Social Justice, Solidarity, Water and tagged Civil Rights, Climate, Climate Change, Environment, Ferguson, Human rights, Human spirit, Native American, Occupy Wall Street, Protests, religion, Reverend Billy Talen, social justice, Solidarity, Standing Rock, Water, water protectors, Zuccotti Park on November 27, 2016 by ew. 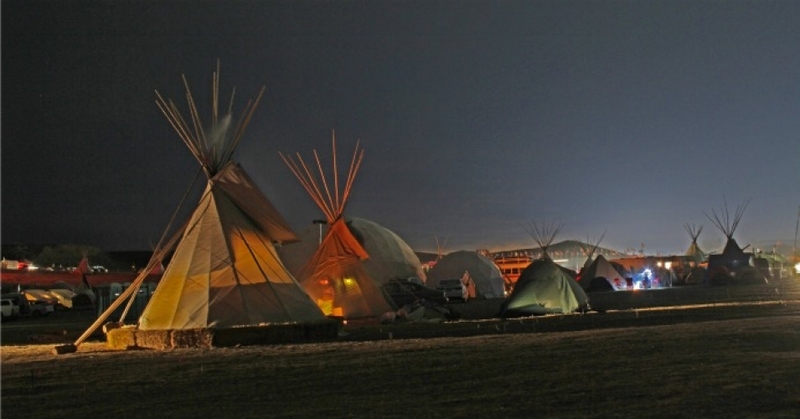 On Thursday, North Dakota Governor Jack Dalrymple called on the state’s National Guard to contain contentious protests against the Keystone pipeline, which threatens Native lands and water supplies. The decision comes after private security guards unleashed attack dogs on protesters this weekend, sparking further violence authorities predictably blamed on demonstrators. 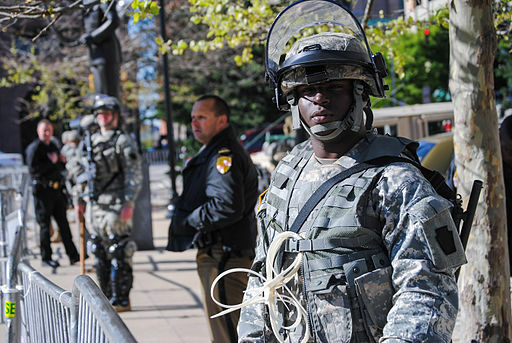 A summons of National Guard services usually indicates a growing tide of opposition to government policies and the established order. It is almost always accompanied by inordinate numbers of police officers. This entry was posted in Civil Rights, Corruption, Demonstrations & Protests, Government, Human Rights, International Agreements, Military, National Security vs Police State, Racism, Religion, Social Justice and tagged Atrocities, Baltimore, Civil Rights, Corruption, Ferguson, Human rights, International Agreements, National Guard, Police Brutality, Police State, Protests, Racism, religion, Riot Police, social justice, Standing Rock on September 11, 2016 by ew. At least 50 people were arrested outside the Thomas F. Eagleton Federal Courthouse in Ferguson, Missouri on Monday, where they were demanding the dissolution of the Ferguson Police Department. This entry was posted in Civil Rights, Corruption, Demonstrations & Protests, Government, Human Rights, Memorials, National Security vs Police State, Social Justice, Solidarity and tagged Atrocities, BlackLivesMatter, Civil Rights, Ferguson, Human rights, Michael Brown, Police Brutality, race, racial bias, racial profiling, Racism, Riot Police, social justice, Solidarity on August 11, 2015 by ew. 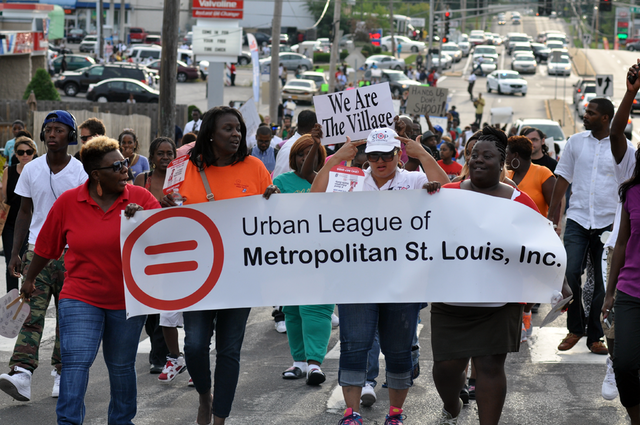 One year following the flashpoint unleashed in Ferguson after the shooting death of unarmed teenager Michael Brown by officer Darren Wilson, Ferguson may look somewhat different, but their reality has been dismal compared to the promises made in order to bring about an end to the protests that gripped the community. 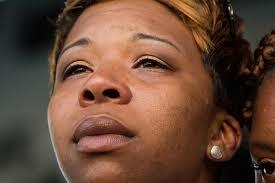 Mother of Michael Brown, Lesley McSpadden. Image via flickr. As a nation, we watched the news. The majority of whites (80%) still do not see why these protests happen. They do not understand that, in contrast, nearly 78% of the national black community sees police forces in their communities in much the same light as those in Ferguson did one year ago. We have seen the growth of the #BlackLivesMatter movement, and the backlash for that advocacy. We have listened to a national conversation that has ended in the deafening roar of silence rather than the changes the people recognized were needed. We now watch as police forces reluctantly pass new rules and policies, slow to introduce new tactics and unwilling to open real conversation with those they are charged with “protecting and serving.” A prime example comes from Ferguson itself, where the city council has reviewed the proposal from the Department of Justice following their investigation that found evidence of a profit-driven court system and widespread racial bias by police. A recent report stated, “Ferguson Councilman Wesley Bell described the Justice Department’s plan as a typical bargaining tactic. “The DOJ didn’t expect us to accept their first proposal. This is just part of the negotiations,” said Bell, elected to the council in April. “That’s all. You want $200. 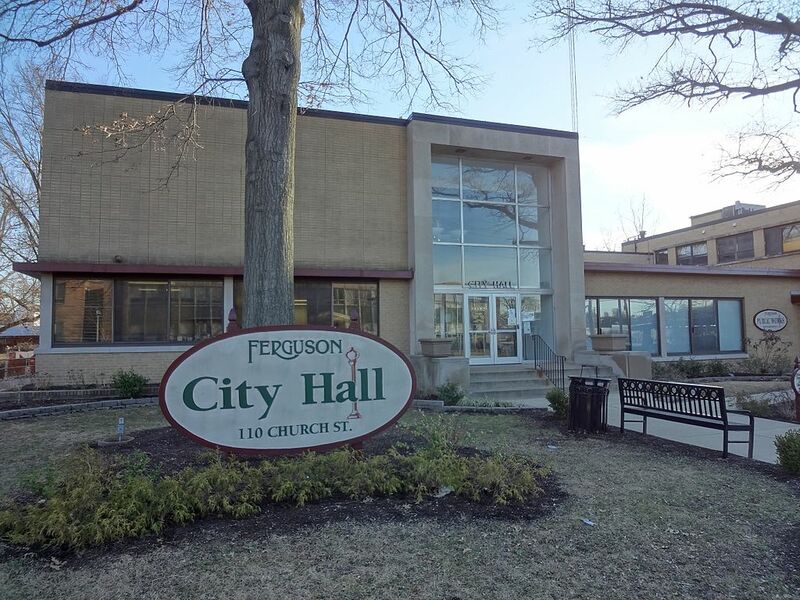 You ask for $400.” With this attitude being prevalent among the predominately white city council, how are the people of Ferguson expected to believe change is coming? Sandra Bland. Photo via Wikimedia Commons. 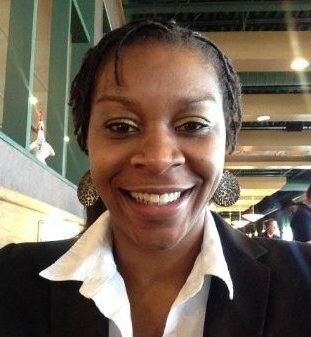 Most recently, the death of Sandra Bland in a Texas jail cell defies explanation. It has led to attention of black women being abused and violated by police on a regular basis, yet going unreported. As a result, a demand to force those responsible to “Say Her Name” when there are victims has given rise to the movement #SayHerName. Ferguson continues to weep. Deserving of every tear, these people have endured what most communities will never experience. Any mother, any parent, that can not take pause at the grief and sorrow of Michael’s mother is as heartless as his killer. Ferguson’s new police Lieutenant proudly says things are better, because she sees officers talking to each other and smiling more. Does she see that on the streets of the community they serve? Has anyone from the department looked? Most Americans are unaware that the community that sees more abuse and violence from police and law enforcement agencies throughout America is the Native American community. Vastly under-reported and swept under the rugs in our halls of “justice”, these people have no where to turn for help. “It is a tribal issue,” they are told, if they are able to complain at all. 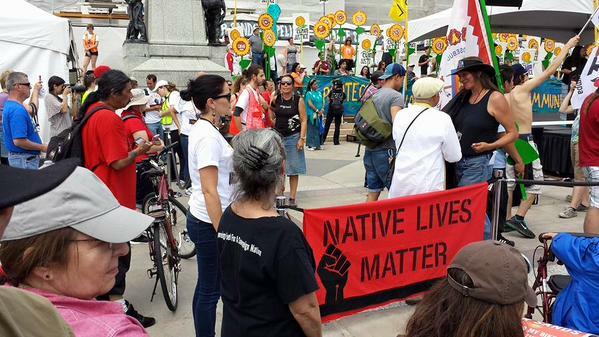 As such, we are finally beginning to see the rise of #NativeLivesMatter. When the international community looks at America and sees the treatment of our most marginalized citizens as human rights abuses and calls us on the carpet for it, shouldn’t we look more carefully within our own shores before starting up our war machines to invade countries we charge with human rights abuses? We have a long way to go, America. You can not close the book on the chapter of Ferguson and assume Michael Brown’s story has ended, unless you also close the book on all the other lives that will be lost if we do not confront these issues as a population, and stop waiting for our government to do what it has failed miserably at doing up to this point. 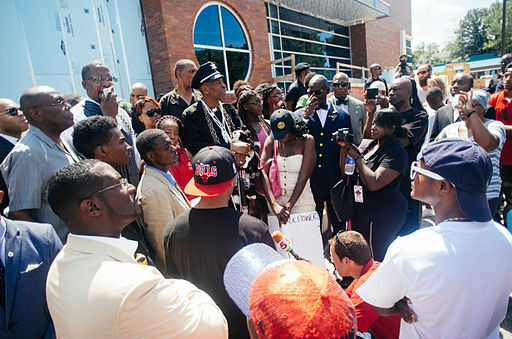 May Michael Brown be able to Rest in Peace – some day. This entry was posted in Civil Rights, Corruption, Demonstrations & Protests, Government, Human Rights, Memorials, National Security vs Police State, Social Justice, Solidarity and tagged Atrocities, BlackLivesMatter, Civil Rights, Ferguson, Human rights, Michael Brown, Native American, NativeLivesMatter, Police Brutality, Protests, race, racial bias, racial profiling, Racism, Sandra Bland, SayHerName, Security, social justice, Solidarity on August 8, 2015 by MNgranny. 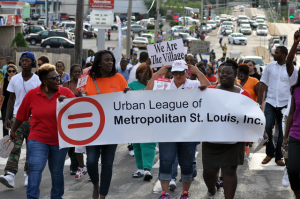 Sunday evening, on the eve of the six-month anniversary of the police shooting of Michael Brown, a group of civil rights lawyers filed a pair of lawsuits on behalf of 11 residents of Ferguson and 9 residents of Jennings; two suburbs of St. Louis, Missouri. This entry was posted in Civil Rights, Corruption, Government, Human Rights, Income Inequality, National Security vs Police State, Privatization, Social Justice, Solidarity and tagged Equality, Ferguson, Income Inequality, Police Brutality, police militarization, race, racial profiling on February 10, 2015 by ew. This entry was posted in Civil Rights, Corruption, Demonstrations & Protests, Government, Human Spirit, Media Issues, National Security vs Police State, Social Justice, Solidarity, Uncategorized and tagged Democracy, Equality, Eric Garner, Ferguson, Michael Brown, Occupy, Police Brutality, Protests, Riot Police, Security, Social Media, Solidarity, Tamir Rice on January 1, 2015 by MNgranny. A little over three months ago was the first time we wrote about what would become the biggest story in America over the following days; Ferguson, Missouri and the shooting of Michael Brown by Darren Wilson, a Ferguson police officer. With the grand jury verdict due any day, this last week had more than its share of troubling news about what might happen in the aftermath. This entry was posted in Civil Rights, Corruption, Demonstrations & Protests, Government, Human Spirit, National Security vs Police State, Social Justice, Solidarity and tagged Atrocities, Equality, Ferguson, Police Brutality, Protests, racial profiling, Racism, Riot Police, Social Media on November 17, 2014 by ew. Yesterday, we wrote about what’s been happening in Ferguson, Missouri. Later during the day (we publish our posts very early in the morning as a rule), Thomas Jackson, Ferguson’s chief of police, had numerous press conferences which we feel raised more questions than they answered. In the first press conference, Jackson announced the name of the officer who shot Michael Brown; a four year veteran of the force named Darren Wilson. At the same time, he said that Michael Brown was suspected of stealing a box of cigars and assaulting a convenience store clerk. He then produced a surveillance tape that appears to show Brown assaulting the clerk. Seems pretty straight forward, right? Well, no – not really. At this press conference, it was implied that Officer Wilson had been responding to the convenience store incident when he stopped Brown. However, in a later press conference, Jackson stated that the “initial contact was not related to the robbery,” and that Brown had been stopped for walking down the middle of the street. We have to wonder when jaywalking became a legitimate reason to use deadly force, but we digress as usual. 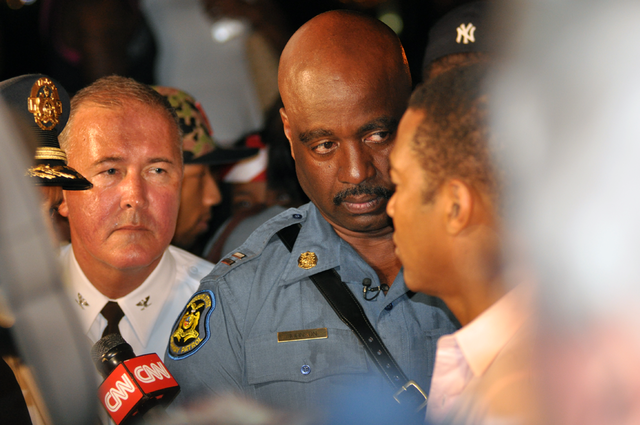 Captain Ron Johnson, the Missouri state patrol officer who took command of the various police forces in Ferguson on Thursday, said that he “would have liked to have been consulted” about the simultaneous release of the officer’s name and the information about the alleged robbery. “The information could have been put out in a different way,” Johnson said at a press conference. Now hold on – isn’t Johnson supposed to be in charge of the police who are dealing with this matter? Why wasn’t he consulted? Jackson’s response was that he had used the same chain of command he’d been using before Governor Jay Nixon had put Johnson in charge; in other words, his Ferguson police and the St. Louis County police’s officer in charge. 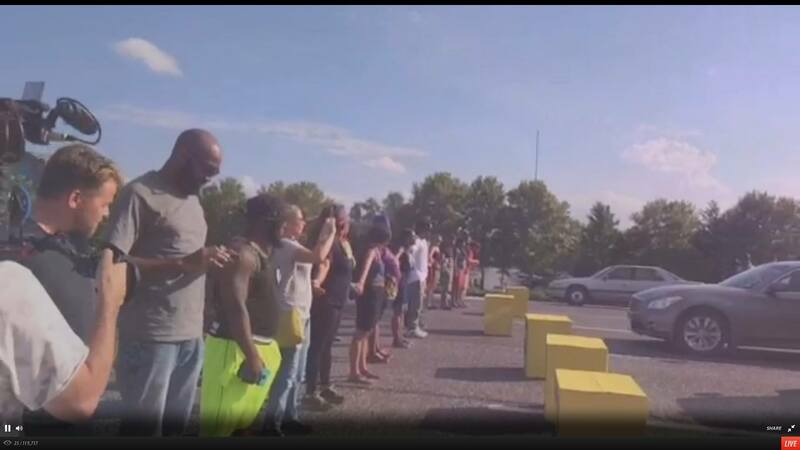 We have to wonder whether ignoring the governor’s orders is par for the course for the Ferguson police. In related news, Bob McCulloch wasn’t happy with the governor’s decision to turn control of security over to Johnson, telling the St. Louis Post-Dispatch; “It’s shameful what he did today, he had no legal authority to do that. To denigrate the men and women of the county police department is shameful.” Who is Bob McCulloch and why is this important? He’s the prosecuting attorney for St. Louis County; the very person who would be responsible for bringing any charges against Officer Wilson. We guess he evidently didn’t see any problem with turning Ferguson into a war zone, but we could be wrong. We feel that yesterday’s disclosures raises more questions than it answered. The first question is if they had this information about Brown and the alleged robbery before, why didn’t they disclose it earlier? We’d think that releasing this information earlier would have helped defuse the anger in the community; the community would have still been angry, but the police could have at least claimed that to be the cause for Wilson’s actions. Our second question is why wasn’t Officer Wilson’s report released? We find it suspicious that they released the surveillance tapes allegedly of Brown assaulting the convenience store owner when as far as we know, nobody outside the police were aware that they existed, yet fail to release the documentation that everybody’s been asking to see. Our last question may be the most important of all. Is the Ferguson police department in general and Chief Jackson in particular really this incompetent, or are they covering up something? Our guess would be both. This entry was posted in Civil Rights, Corruption, Demonstrations & Protests, Government, Human Spirit, Media Issues, National Security vs Police State, Social Justice, Solidarity and tagged Democracy, Ferguson, Police Brutality, Police State, Protests, Riot Police, Solidarity on August 16, 2014 by ew.